I love exploring the dollar store and finding new items to craft with. This DIY Snowman Sock Ornament is adorable and easy to make. This ornament will make a wonderful addition to your tree, as gifts and is perfect for an ornament exchange. Do you love snowman? Cute Socks? 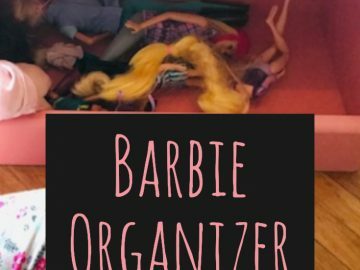 DIY ornaments? If any of these make you smile, this Snowman Sock Ornament is for you. 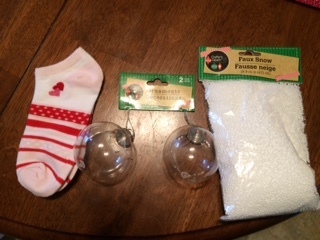 I had watched this video on you tube https://www.youtube.com/watch?v=-XTr7ngJZDc called DIY Holiday Ornaments- Decorating Christmas Bulbs and I really liked the snowman sock ornament, but I added my own twist to it. My supplies for this project mostly came from the Dollar Tree and I already had the Cricut, glue gun, glue sticks, funnel, black vinyl, orange vinyl, and the transfer tape. 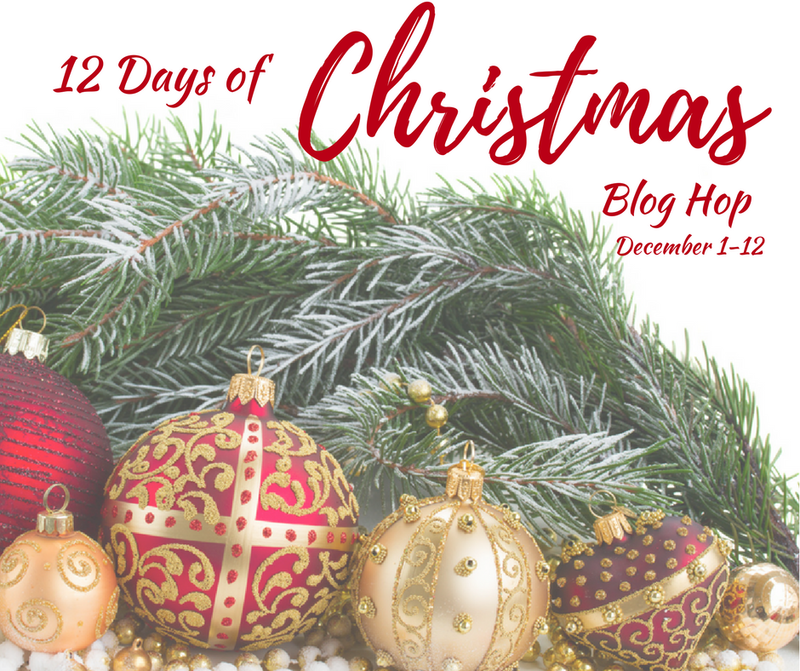 Check out the Dollar Tree Christmas Catalog for some of these supplies. 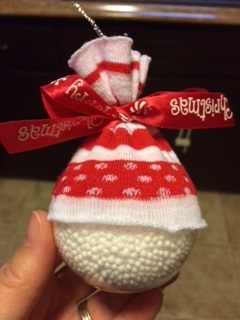 I made this adorable snowman sock ornament for my niece and daughter (who are both toddlers) so I used plastic ornaments from the Dollar Tree, but plain glass ornaments could be used. The fake snow also goes along way to, it would probably make about 4 ornaments this size. I used toddler size socks and cut the the sock off under the heal and cut it off above the toes. Then I used the middle piece for the hat. I thought these socks were so cute because they are pink and red, super cute and perfect for Christmas. I think I will go back and get another pair for my daughter to wear. I filled the ornament with the fake snow and I would definitely use a funnel to do this. It gets a little messy. I filled the whole ornament with snow, but it definitely could only be filled 3/4 of the way because the hat does cover half of the ornament. 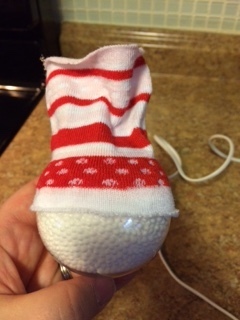 I hot glued the sock to the ornament. This part needs patience and precision. First I made sure of the placement of the hat on the snowman and I made sure I pulled the ornament string out of the top of the sock. 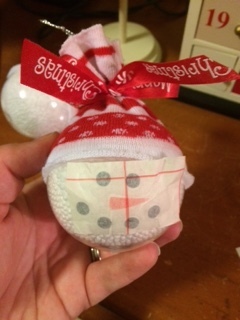 To glue it, I would move the sock up, put a line of glue, and then move the sock over the glue to glue it to the ornament. 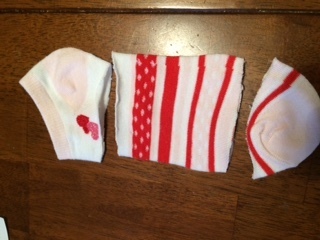 This is where you need to try and make sure you glue the sock straight especially in the place you will be putting on the face. 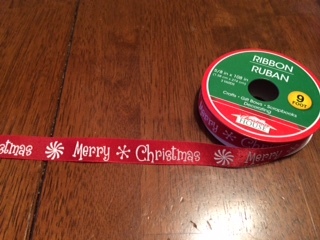 Tie the ribbon around the top of the ornament to create the hat. 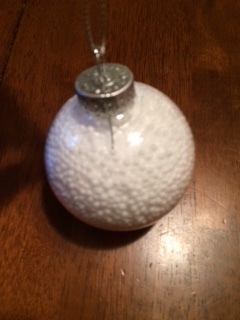 Make sure the ornament string is sticking out of the top so it can be hung on the tree. Now it’s time for the final touch of adding on the adorable snowman face. I have a Cricut Explore Air™ machine so I made about a 1 inch tall oval to put the snowman face on for size as I was creating it. I used the same size circle for the eyes and the mouth and I made a small carrot for the nose. 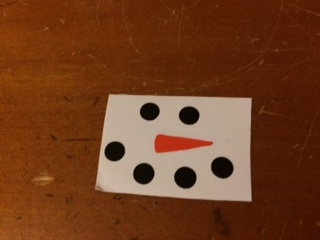 If you don’t have a Cricut, you could just make the face with Sharpie markers or use a whole punch to make the circles for the eyes, mouth and just cut a triangle nose. Then I cut out the pieces in vinyl, put the carrot nose in the middle of the eyes and mouth and used transfer tape to put it on the ornament. 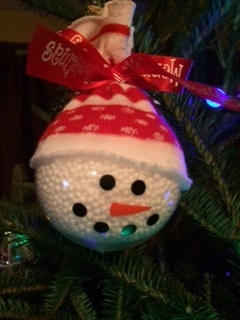 This ornament came out so cute and my son requested one after I made these for the girls. I was planning on making him a different ornament, but he can have a snowman to. 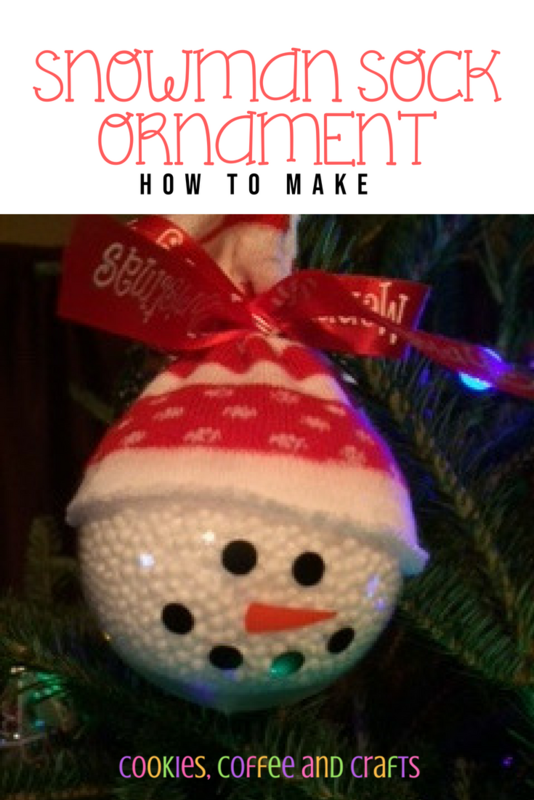 This snowman ornament is adorable, super easy, and looks amazing on the Christmas tree. Happy crafting! Merry Christmas!